Senior Megan O’Rourke received a huge honor as she was named the Olympic Conference Player of the Year. Kelly Babitz was one of three Cherry Hill East players named first team all-Olympic Conference for 2016. Cherry Hill High School East girls’ volleyball’s solid 2016 season was recognized over the weekend when the Olympic Conference coaches chose the season’s all-conference teams. Cherry Hill East had three players named first team all-conference and one other player named second team all-conference. This was the most players named to first and second team out of all schools in the Olympic Conference. Megan O’Rourke, Kelly Babitz and Chelsey James were all named to the All-Olympic Conference first team. Sarah Pintel was named all-Olympic Conference second team. Kat Koziol was named as an honorable mention. O’Rourke also received a huge honor when she was voted as the Olympic Conference Player of the Year. 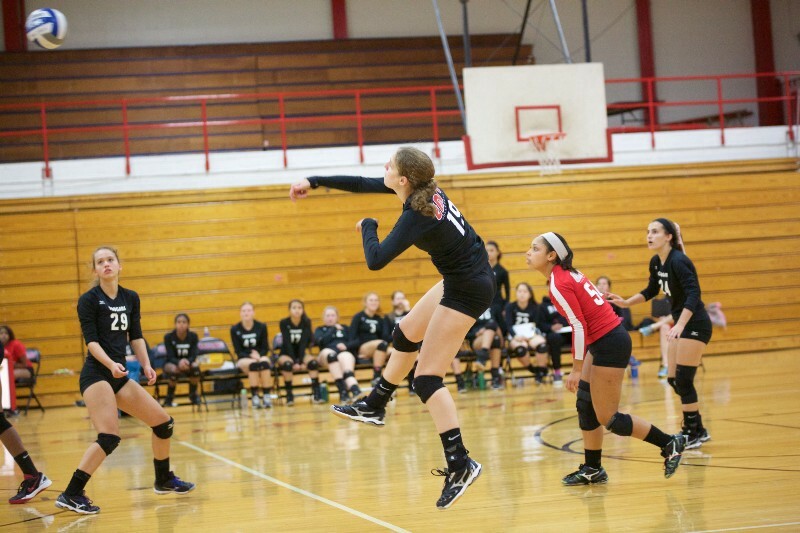 O’Rourke led the team with 459 assists and 53 aces.